Keep this kit near your pet’s carrier, along with an extra leash or harness. Also keep their medical records and medication list handy. Contact numbers for nearby emergency clinics are helpful, as well. Lastly, downloading the Pet First Aid app provided by the American Red Cross is a huge help in understanding how to respond to various illnesses or injuries. If you want to build your own pet first aid kit, begin with a plastic bin or large lunch box (or tackle box). 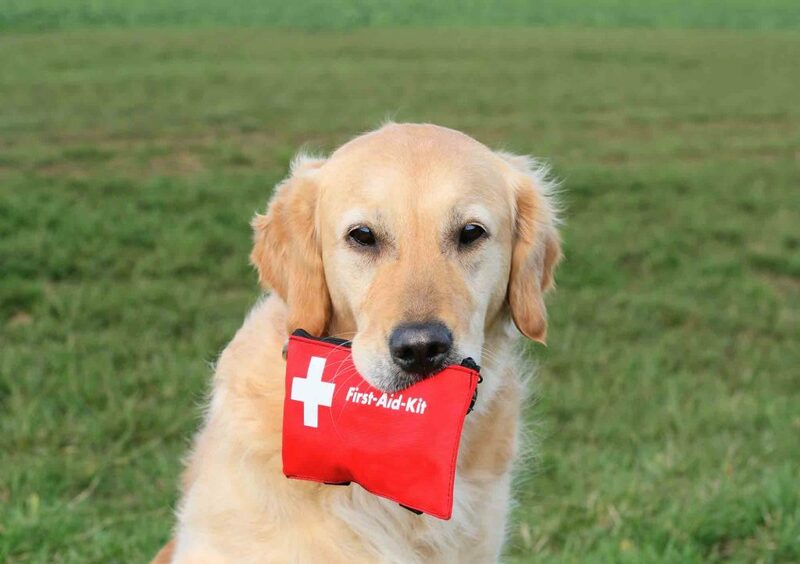 Store your pet first aid kit in a part of your home that’s easily accessible, and keep a smaller one in your car. While it’s great to have a pet emergency plan and a pet first aid kit at the ready, it’s equally important to know the difference between what can be treated at home and what requires a trip to the veterinary emergency hospital. Knowing pet first aid is a vital component of responsible pet ownership. Please give us a call for additional information about pet emergency situations or if you think something is off with your best friend.